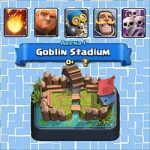 Arena 12: Golem, NW, Dark Prince deck | Clash Royale fan-site! 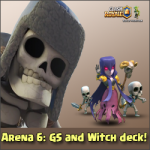 Home » BLOG » Arena 12: decent deck with Golem, Night Witch and Dark Prince! 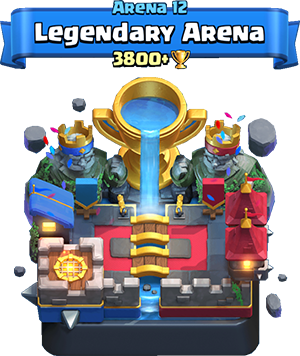 Legendary Arena is the last one before the leagues and there are no weak opponents there! 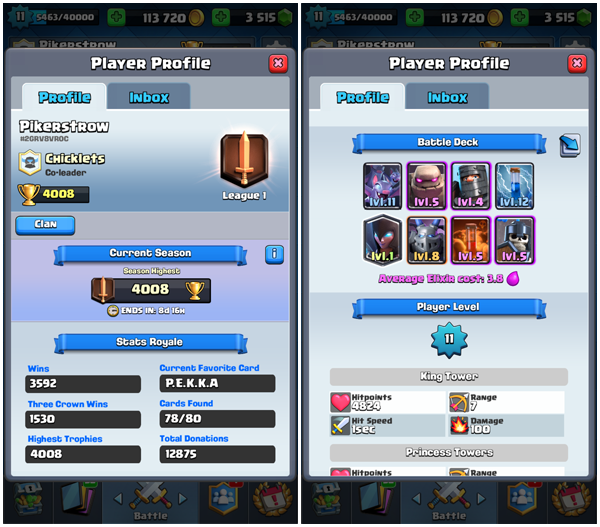 I want to share with you a good deck with Golem, Night Witch and Dark Prince, with the help of wich I’ve successfully passed through Arena 12 and promoted to the Challenger I (more than 4k of trophies). 1. Golem (epic card). Exclusively attacking unit and the main card in the deck. The whole attacking tactic is built around that card. 2. Night Witch and Dark Prince (legendary and epic cards respectively). Two main cards the main purpose of which is to support Golem in attack and cover him from opponents troops. Why Dark Prince?.. Because, due to his area damage ability, Dark Prince is a very good in defense also (for example he can resist to Elite Barbarians, which we often meet on Arena 12). 4. Guards (epic card). You may not to believe, but Guards are the pillar of the whole defense! After the last balancing from SuperCell team, the guards becomes really good defensive power! 5. Zap and Poison (common and epic cards respectively). Two spell cards. 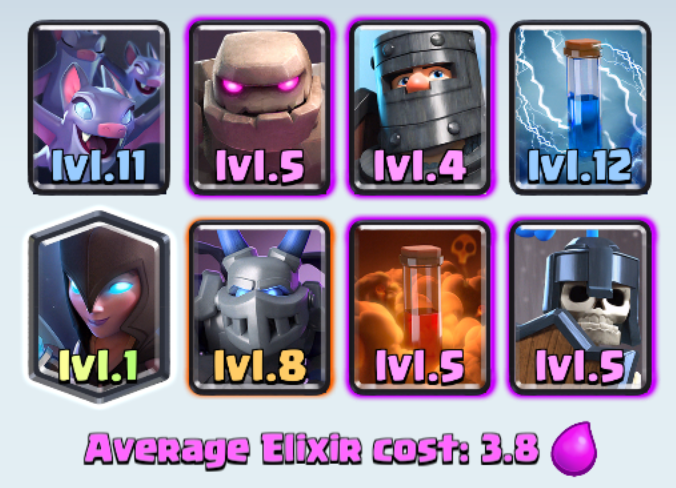 If your Zap is underleveled, you can replace it with Arrows… But I prefer Zap: lower cost, good Inferno Dragon and Inferno Tower cooler. 1. 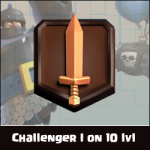 Don’t deploy Golem onto arena until you have whole 10 drops of elixir. Otherwise, you will be vulnerable to fast opponent’s counterattack. As a rule, players with “easier” decks, try to respond by their fast attack on Golem deploying. 2. Try to start your attack from deploying Golem at the lowest part of your side of arena (for example, near Kings Tower). Such beginning allows to gather enough of elixir for deploying another cards for Golem protection. 3. Don’t be in a hurry to deploy other card until opponent respond on your Golem. Just wait a little and watch how opponent will respond on your move. 4. Try to keep Bats for the end of attack (if situation allow to do this). Very often occurs situation, when Golem explodes and kills all opponent’s troops near himself… This is perfect time for Bats deploying. They are fast and have good damage power. In case if opponent hasn’t left any spell for such situation, you can easy destroy at least one tower. 5. If your opponent has just deployed Elixir Collector, don’t be in a hurry to attack it with poison. Very often happens that opponent gather elixir for Three Musketeers. In case you spend poison for collector, you won’t be able to eliminate musketeers without serious troubles… Just wait a little and explore opponent’s deck. 6. Guards. I don’t recommend to change this card for any other one. This deck has good attacking potential, so take care about defense also… And Guards suits this purpose very good (as for 3 drops card). That’s all! Try this deck – it really works fine! Good luck! See you on the arenas of Clash Royale! 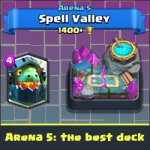 « How to form the best Mortar deck and which cards are best for Mortar defense.